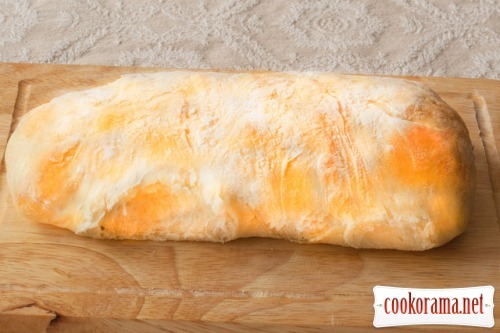 «Spongy» very porous light bread with a crispy crust. 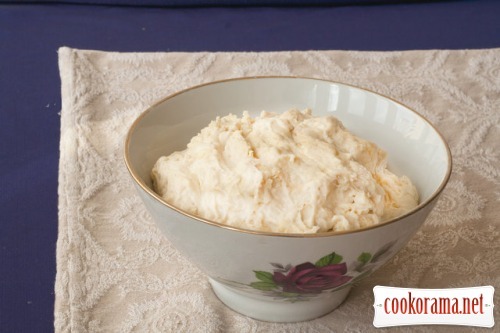 After mixing all the components carefully knead the dough, and you`ll get loose sticky ball. The recommendations were to do batch with mixer on low speed, but I kneaded it with hands. 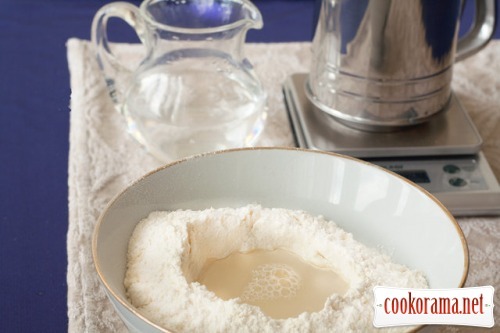 Cover the bowl with dough with a foil and put in the fridge for few hours. The long rising of the dough is recommended, for 12 hours. I had 2,5 hours – for this time in the fridge the dough rose twice. 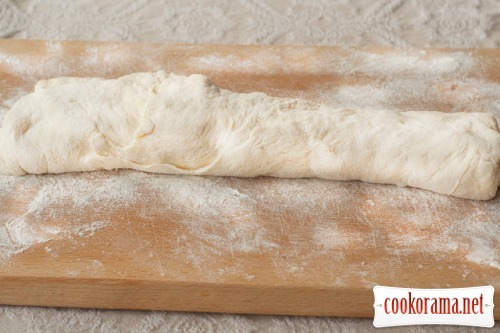 Divide dough into portions, generously powder it with flour. 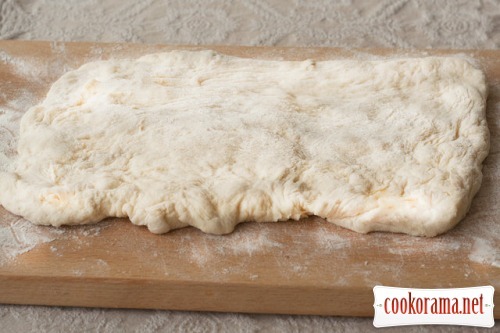 I didn`t knead it, and gently stretched, forming a rectangular flat cake. And then the flat cake folded three times, tucked into the middle the long edges. Repeat steps stretching and tucking the edges, thus forming a loaf. 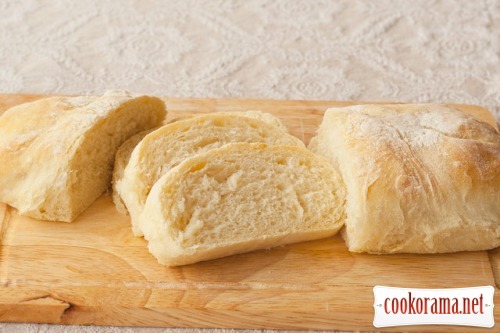 Put the loaves on a greased with olive oil baking sheet, cover with a towel. Turn the oven on (200 degrees). In 20 min put ciabatta baking – near 25 min at 200 C. Under the baking tray I had cup with water on a lattice.